Learn how to create the basic shapes and styles of floral designs—the building blocks for true creativity. This course will introduce you to techniques and styles commonly used by professionals. Learn preparation techniques, how to create basic shapes, and how to prepare flowers for long-lasting arrangements. 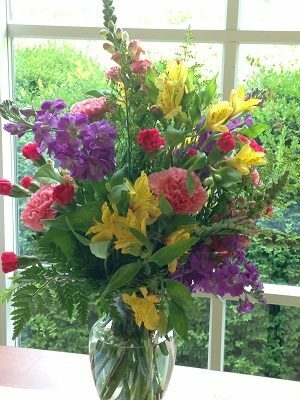 A section on cut flower care and handling is included, along with a text. All materials provided; students need to bring sharp floral snips. Instructor: Mimi Cassick. *This class offers 10 hours of required credit toward the Garden Education Series: Floral Design Certificate. Non-certificate students welcome. Create an account or sign in to register, view your current registrations, payments, course history and more. View Step by step instructions on how to create your new Active Network online registration account.